The Islanders do funny things. 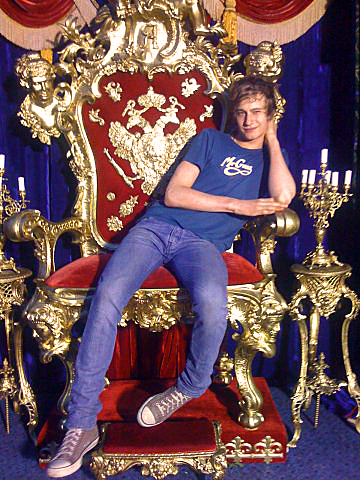 Some things that make me crazy. Some things that make me happy. But they are always doing different things. 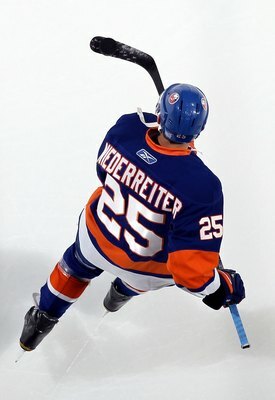 They are the parent club of the AHL’s reigning and defending NorthEast Division Champs, The Bridgeport Sound Tigers. 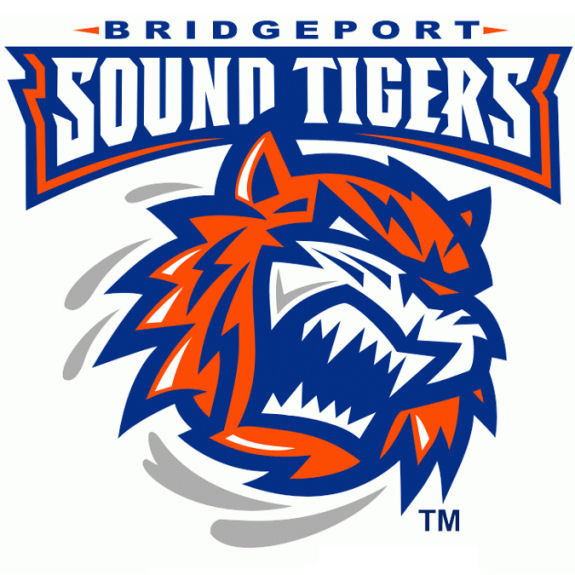 Bridgeport is a nice little hamlet on the opposite side of the Long Island Sound (Get it… Sound Tigers?) from the old Coliseum. 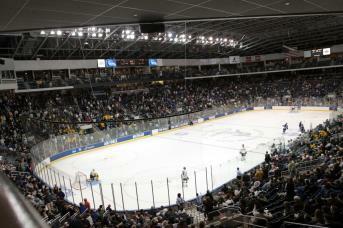 Webster Bank Arena has great sight-lines, an intimate feel and some nice restaurants within walking distance. It’s a great place to enjoy a game at a less sizable price than an NHL rink. The Sound Tigers roster is dotted with NHL Ready prospects. They are backstopped by Kevin Poulin and have Potential NHL D in Matt Donovan and Aaron Ness patrolling the blueline. Up front, the team boasts 5 legit prospects who could see time on the island as soon as this season: First round picks Nino Niederreiter (right) & Brock Nelson as well as mid round steal Johan Sundstrom. They’re joined by John Persson, and former Memorial Cup stand out Kirill Kabanov (left). The Bridgeport Sound Tigers have announced they will host “You Can Play” Night on Saturday, Feb. 23 against the Manchester Monarchs in support of the You Can Play Project. The Sound Tigers’ You Can Play Night will be the first of its kind to be held in the American Hockey League. 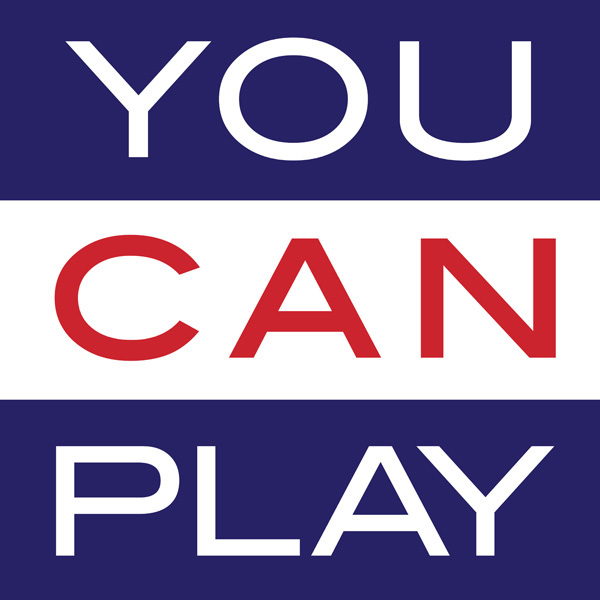 The You Can Play Project is dedicated to ensuring equality, respect and safety for all athletes without regard to sexual orientation. The evening will kick off at 5:30 p.m. when fans will be able to participate in a pre-game discussion and Q & A session with Patrick Burke, co-founder of the “You Can Play” Project. Fans can also contribute to the You Can Play Project by purchasing tickets through Ticketmaster using the promo code “YOUCAN”, where $5 of every ticket purchased will go to the You Can Play Project. Click here to purchase tickets. The Sound Tigers are also partnering with local LGBT organizations throughout the area to participate in You Can Play Night. Organizations that are interested in participating in the Sound Tigers’ You Can Play Night are encouraged to call the Sound Tigers at (203) 334-GOAL. I was naturally overjoyed when the baby Isles approached us with this idea and honored they would ask us to get involved. There will be a 5:30pm pregame panel discussion chaired by Patrick Burke on LGBT Athletes in sport and events throughout the evening supporting YCP and the community at large. I’ve gone about recruiting a blog roll of champions to attend this event, so look for write ups from Jewels From the Crown, Stanley Cup of Chowder, Pension Plan Puppets, and of course @Puckbuddys. Read ours first obviously! RoseTintedVisor ( thats @RoseTintedVisor on Twitter for the newbs) is the nom de plume of moi, Vinny Piccolo. Park Ranger/ Grad Student (History) by day, token gay hockey player & blogger (devotee of the NYI) by night. In my spare time, I hit the ice on LI as a grinder and general irritant with a penchant for crosschecks and trashtalk. I also fancy comic books, wrestling, history, political discussion, particularly LGBT & Environmental Issues . Addtl interests include Miami Dolphins Football, Atlanta Braves Baseball, & The Florida Panthers. This entry was posted in The Minors, Uncategorized and tagged Bridgeport Sound Tigers, Get your kicks in Section 106!, Manchester Monarchs, You Can Play. Bookmark the permalink. Looking forward to meeting you Saturday, Vinny. I’ll be there with a bunch of NYCGHA people. That would be Charles Wang’s Bridgeport Sound Tigers who gave free tickets to everyone during Hurricane Sandy, who honored the Sandy Hook families and had players wear their names during games. Who gave out free tickets several times. You know the man who saved Roy Boe from default once again and gave the New York Islanders a first rate AHL facility he renovated last summer while paying for a new scoreboard wrap-around boards at Webster Bank Arena. The man who sponsored the Lighthouse Tournament all those years, flew in kids from around the world and housed them for a week. Yes, I know, unless he spends more on NHL payroll while every other team gets a taxpayer funded facility or a check like Msg each year he’s a brutal owner who must go.